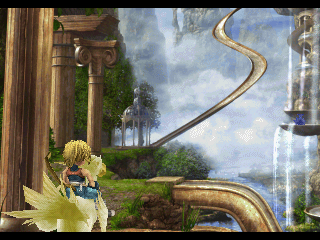 Early in your Final Fantasy IX adventure you'll have the opportunity to divert from the main game and explore a little area called Chocobo's Forest. It's completely optional, a little off the beaten path, and not immediately that interesting - but it's totally worth exploring. Chocobo's Forest unlocks the Chocobo Hot & Cold game, which is, arguably, the most important - and lucrative - side quest in the entire game. You can't play Chocobo Hot & Cold until you find Chocobo's Forest. It's located to the east of Lindblum, on the long stretch of land accessible by Lindblum's Dragon Gate. You'll get hints of its existence looking through the telescope atop Lindblum Castle, and when you head in that direction - you'll be on the path to Gizamaluke's Grotto at the time - you'll find a dome-like cluster of trees. This is Chocobo's Forest. Upon entering you'll encounter a Moogle called Mene, who will teach you how to ride Choco, a simple yellow Chocobo. 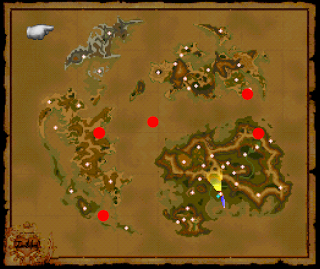 From that point on you can summon Choco by using a Gysahl Green, purchased from Mene, on a set of Chocobo tracks, of which there are many on the world map. (You can find one set just north of the Dragon Gate.) Choco allows you to avoid random battles entirely. More importantly, though, Choco allows you to play Chocobo Hot & Cold. 'Kweh' means there's no treasure nearby. 'Kweh!?' is an indication that you're near treasure, but not quite there. 'Kwehhh!?' is a sign that you've almost struck pay dirt - you're just a little bit off on your positioning. Once Choco finds treasure he'll begin pecking one spot, and you'll need to tap the button repeatedly to reduce the 'health' of the ground. The better the item, the harder it is to unearth. Fortunately, Choco's beak will 'level up' the more you play the game, allowing Choco to dig more quickly with each level. Given the meagre gains of most items found in Chocobo's Forest it seems rather useless to aim for the top rewards on that list. Fortunately, there's a lot more to Chocobo Hot & Cold besides little ol' Chocobo's Forest. While playing Chocobo Hot & Cold you'll eventually come across an item called 'Stone With Patterns'. Aside from being worth lots of points, the Stone will be swiftly IDed by Mene as a Chocograph. Chocographs are basically treasure maps. 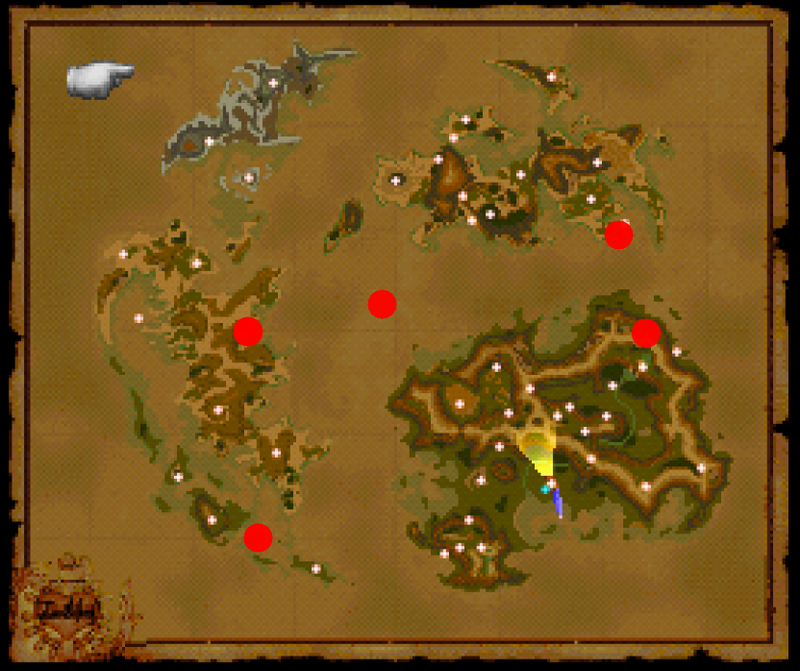 Whenever you interact with Choco, either in Chocobo's Forest or on the world map, you can choose a Chocograph to follow. The Chocograph provides a vague description of somewhere on the world map, as well as a picture of a piece of landscape. Take Choco to these spots and, if you dig in the right place, you can find a hidden treasure chest full of goodies. The items in the Chocograph chests are almost always worth finding. Chocographs are found at random, and you need to explore locations thoroughly to track them down. More on other places you can find Chocographs below. 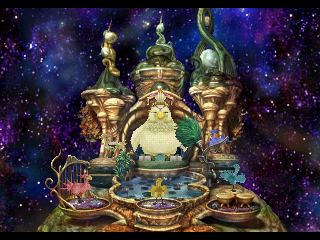 Chocobo's Air Garden, a floating island that may appear in multiple different locations on the world map. The locations are noted in red on the map below, and appear as a circular shadow on the ground. The current location appears on your map after finding it for the first time, so you don't need to guess and hunt the Air Garden down on subsequent visits. 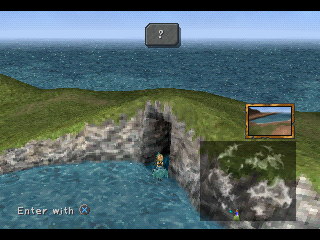 Chocobo's Lagoon is accessible once you have an airship that can reach the island chain in question, though you'll also need Choco to be light blue, and capable of running across reefs. Chocobo's Air Garden is only accessible via a gold Choco, and you'll need to use a Dead Pepper each time, while Choco is flying. More on Dead Peppers in the article on Chocographs. Needless to say, though, you won't start getting Dead Peppers until Choco is at least red. Though it's a relatively simple game, Chocobo Hot & Cold can be a little taxing at times. Here are some tips to make it a bit easier. Peck constantly while searching. Don't peck once, find nothing, and then move on to a completely different area. Choco's 'radar', as it were, is not that great, and you can accidentally walk right by an item. Items aren't necessarily spaced out. Once you've unearthed something, check the immediate area again right away, just in case. Tap quickly. You don't have much time, and if your luck is bad you'll get a particularly deep item right before you hit the time limit. Dig until the absolute last second. If you're on three items you might just luck out and get the time extension. 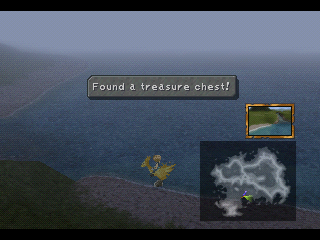 If you're looking to maximize your points, dig at Chocobo's Lagoon. 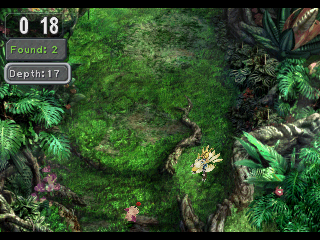 Chocobo's Air Garden offers better items and more points, but it takes longer to run around the area. Don't spend your points on cheap stuff like Gysahl Greens or Ores. Even at the height of your pecking power it'll still take a long time to earn enough points for things as good as, say, a Robe of Lords. Make a point to change Choco's colour as often as possible. Extra mobility aside, Choco's pecking speed seems to increase as he moves up the colour tiers.